Duello opens in L.A. Arts District, with a whimsical and creative menu. Nestled within Simone, Chef Jessica Largey’s new downtown restaurant, lives a cocktail bar called Duello. From acclaimed Edinburgh barman Iain McPherson, Duello’s whimsical illustrated cocktail menu explores the four eras of the Arts District’s little-known history. 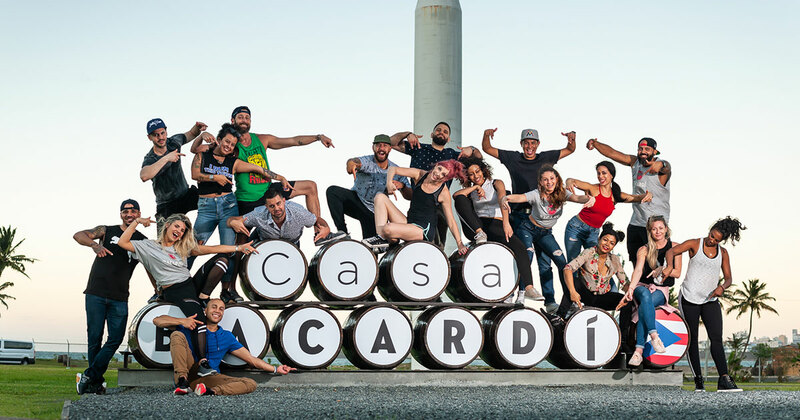 The first chapter includes a section of wine and sherry-based cocktails honoring its past as a wine producing region in the 1890s. The history of winemaking is chequered, but one thing is for sure – it was the catalyst for the booming Californian wine industry we see today. Highlights include the Botta Secreta Peach made with an aperitif, rosé vermouth, orange and grapefruit oleo, dry vermouth, peated whisky, lemon juice and orange bitters and the California Calling with Reposado tequila, coconut oil, Fino sherry, sugar, lemon juice and bitters. 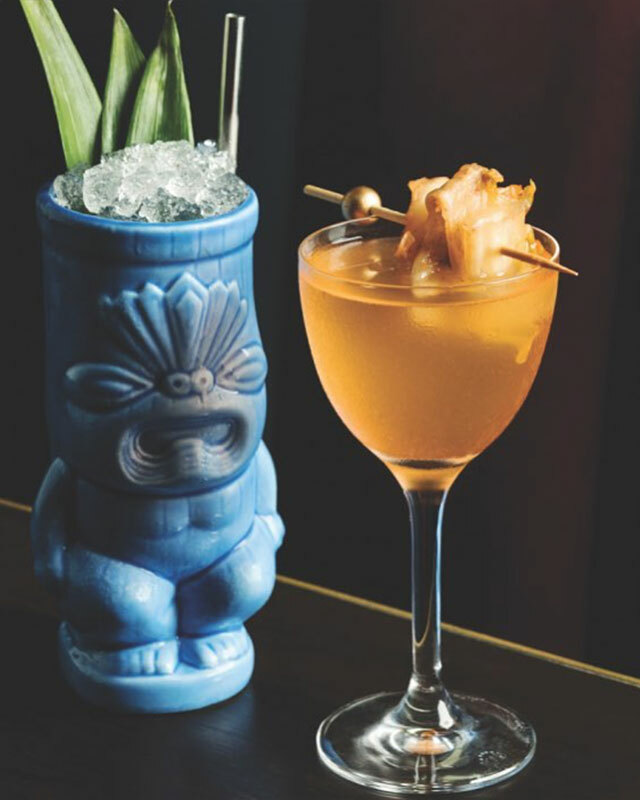 Chapter Two focuses on tiki and sour drinks referencing its citrus farming period in the 1920s. The Arts District became part of a mighty citrus powerhouse, distributing oranges and grapefruits all over the country. The Firing Blancs cocktail is made with gin, Sauvignon Blanc, salted citrus oleo, pineapple juice, lemon juice and bitters while the Juno is crafted with yuzu sake, mezcal, orange blossom, creme de peche and absinthe sherbet. 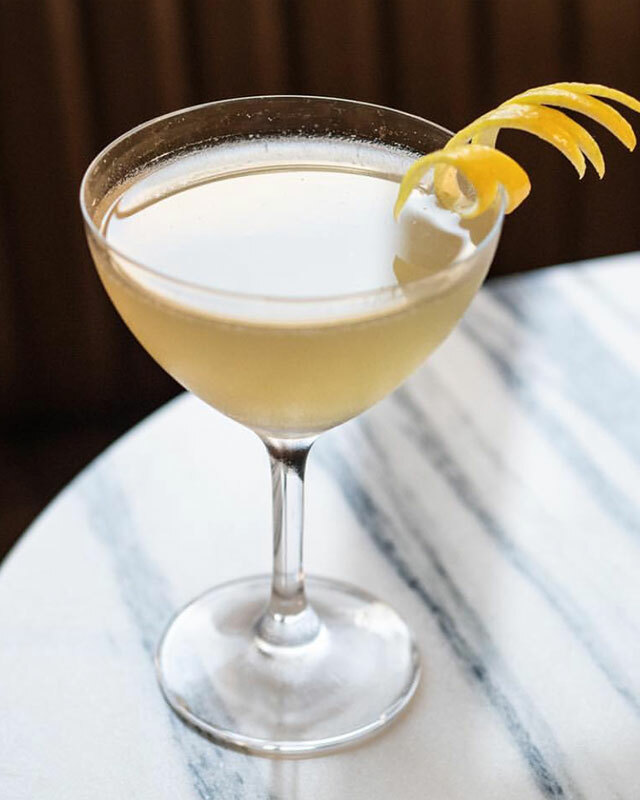 Chapter Three includes cocktails inspired by the 1970s artists that gave the neighborhood its name. The Naked Maja, inspired by Francisco Goya, is made with vodka, hemp oil, vermouth di Torino, Manzanilla sherry, celery bitters & umami oil. 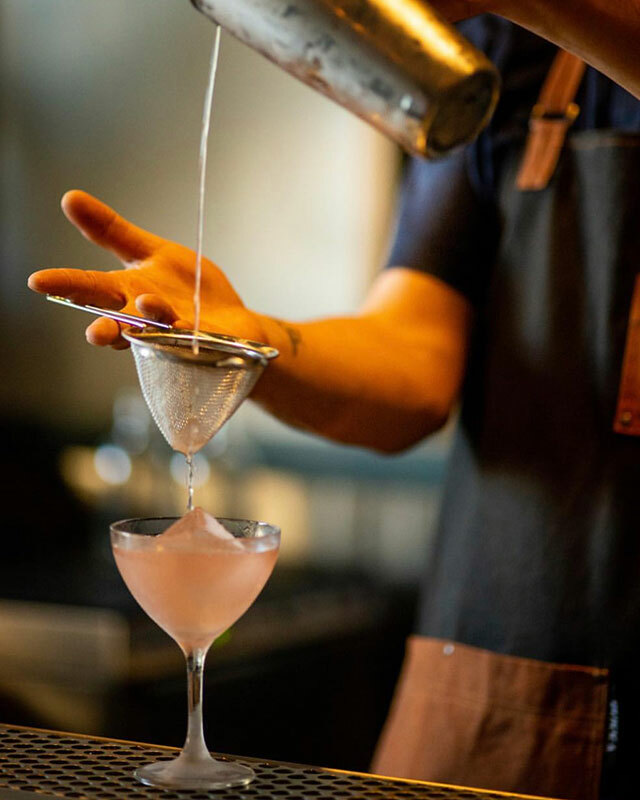 The Totto, inspired by Georgia O’Keeffe is made with vodka, hibiscus, herbal liqueur, sparkling wine and rose paint. The Kimchi Gibson, inspired by Po Kim, is made with gin, kimchi and dry vermouth. 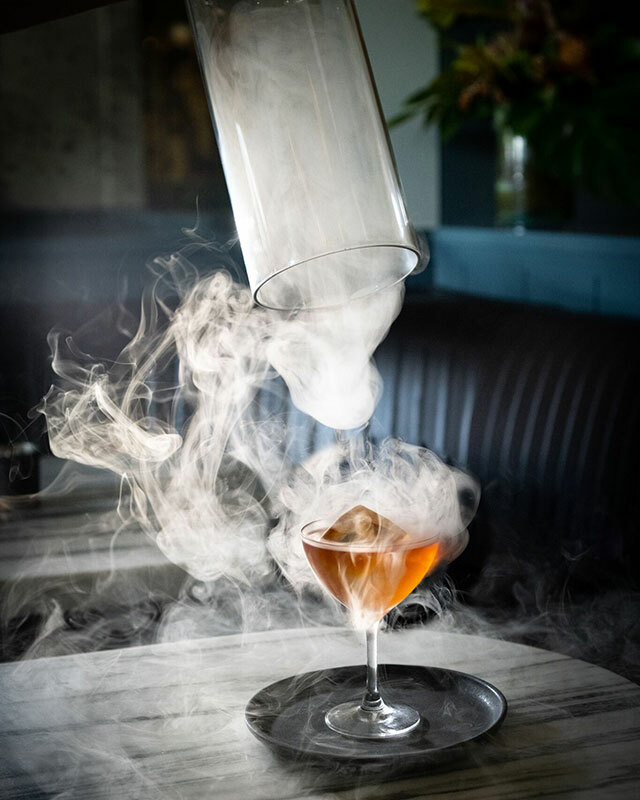 The final section includes modern drinks with esoteric ingredients and experimental flavor combinations, a tribute to the evolution of the Arts District as a true culinary destination. 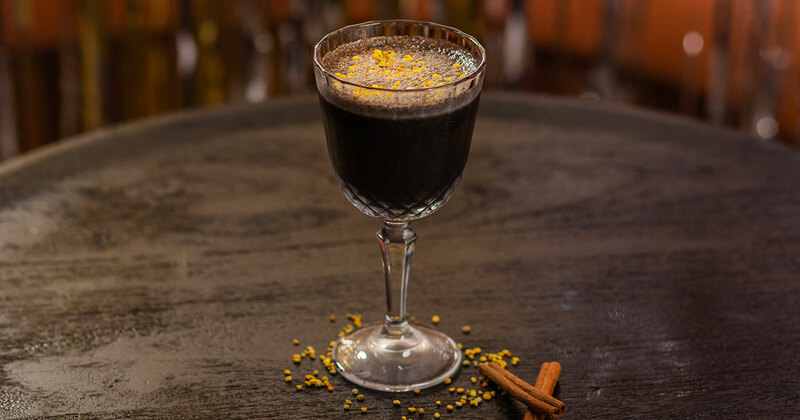 Highlights include the Sage Against The Machine with rye, kefir soft cider, ginger and sage, the Homeward Bound with bourbon, cocoa butter, sassafras, Pedro Ximénez sherry and vanilla cherry oak smoke, as well as the Mamacita Mole with blanco tequila, mole grenadine and lime oleo saccharum. To complement the cocktails, Duello offers the full food menu from Chef Largey’s Simone. Bites include Beef Tartare, Arugula Cavatelli Pasta, Scallops, Roast Duck and more. Simone recently launched weekend brunch service from 10:30 a.m. to 3 p.m., served at both Simone’s main dining room as well as Duello. 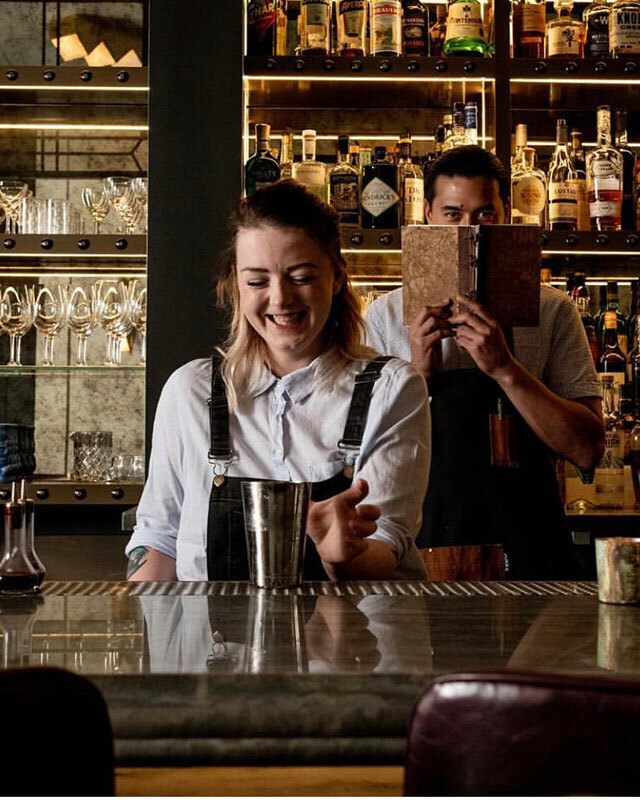 In addition to the chef’s famous fried chicken, oysters and produce-driven dishes, brunch also brings a menu of five different Bloody Marys created by bartender Kaiko Tulloch, who now oversees Simone’s bar, Duello, while McPherson is back home in Scotland. 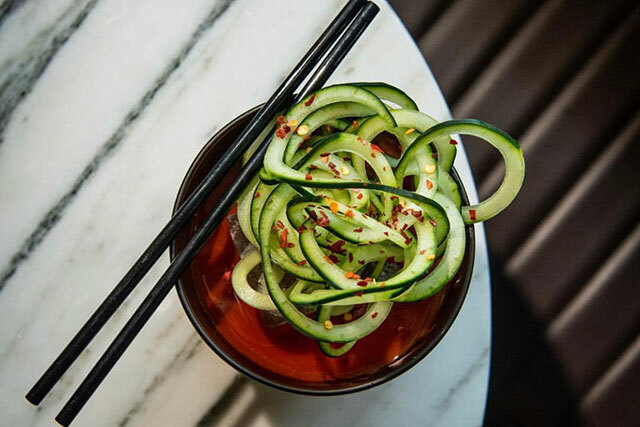 Winner of the best Bloody Mary in the UK in 2014, Tulloch brings her expertise to Simone to create an international collection of bloodies, from a Little Tokyo-inspired version, to a clarified iteration with a salsa macha oil repurposed from the kitchen. In addition to the Bloody Marys, brunch drinks include mimosa, spritz and coffee cocktail variations. 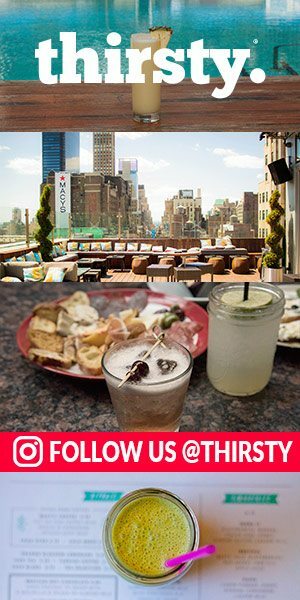 “So sit back, take your time and savor the incredible story of the Arts District, preferably with a delicious cocktail in hand,” says McPherson. Tuesday – Thursday 5:30 p.m. – 11:30 p.m.